Our Lift-and-Slide cutter was engineered by Rangate to be the definitive cutter for this sensible and increasingly popular door style. It is designed to work for all major lift and slide hardware producers, giving you complete freedom to work with any brand of hardware you want. Fresh Diamond-Treated Insert Knives: This cutter has a fresh set of our industry-leading NaDia diamond-treated inserts, for longevity and performance you won't find anywhere else. 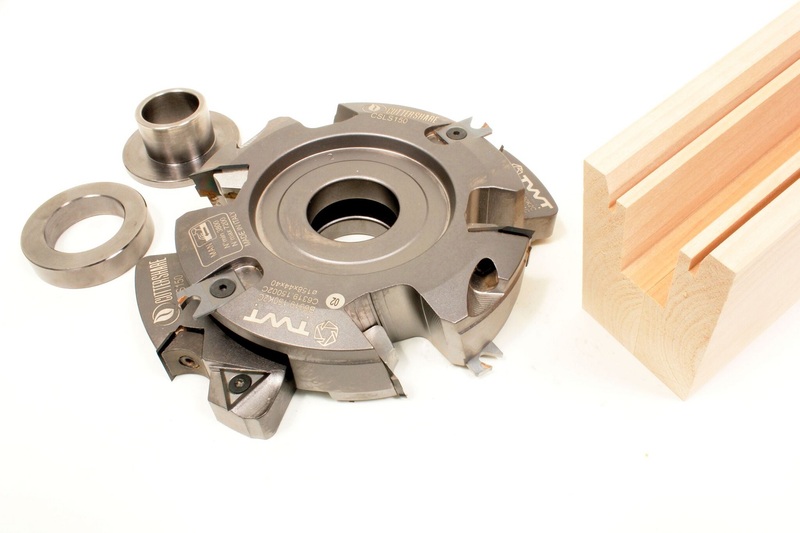 Any Spindle Size: We'll include bushings for your spindle size, so 40 mm, 1-1/4", and 30 mm spindles are all covered. Factory Spec Performance: Our technician thoroughly inspects each tool to ensure the cutter matches up with a new tool. We don't offer anything that can't deliver to our motto of Uncompromising Craftsmanship. Everything Needed to Run: Your tool will come with any shims or spacers required, a set of tool drawings, and the wrenches required to replace inserts. We even include a pair of cut-resistant gloves to keep your paws safe while handling the tool.